Ein Auszug aus der Vollversion "Innere Organe" in englischer Fassung. 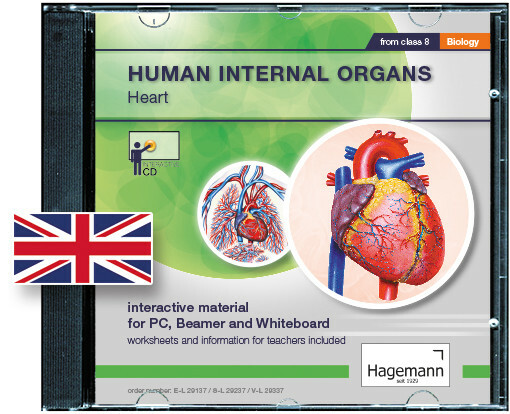 Produktinformationen "Einsteiger-Version Human internal organs - Heart (EN)"
The material is written completely in English and thus perfectly applicable in bilingual education! The interactive material deals with the structure and function of the human heart in a playful way. The excitation line and the use of a pacemaker are clearly explained as well as the emergence and treatment of a heart attack. Weiterführende Links zu "Einsteiger-Version Human internal organs - Heart (EN)"